On your left is British Redoubt No. 10 partly reconstructed where a fragment of its moat was found in 1956. The remainder of it, as well as parts of adjacent works, was washed to sea during the 175 years of crumbling river banks. Location. 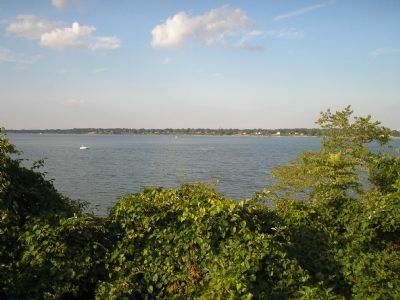 37° 13.71′ N, 76° 29.786′ W. Marker is in Yorktown, Virginia, in York County. Marker can be reached from Ballard Street (Virginia Route 238), on the left when traveling south. Touch for map. 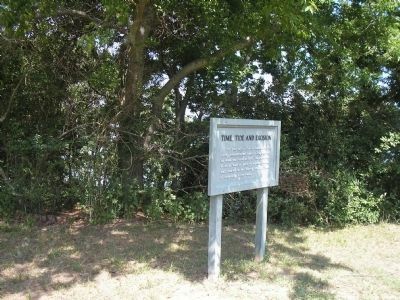 Marker is located on the Yorktown Battlefield in Colonial National Historical Park, at stop D on the Battlefield Tour. Marker is in this post office area: Yorktown VA 23690, United States of America. Touch for directions. 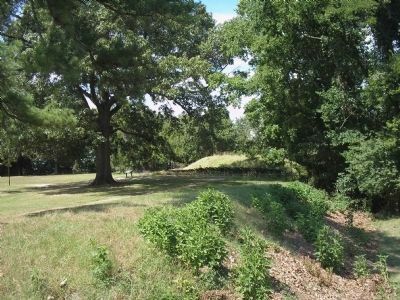 500 feet away); Redoubt 9 (about 500 feet away); Communicating Trench (about 600 feet away); French Soldiers and Sailors (about 700 feet away). Touch for a list and map of all markers in Yorktown. At the time of the Siege in 1781, Redoubt No. 10 extended farther east (to the right of the photo) than it does today. 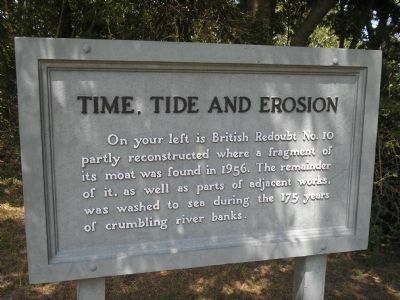 The York River has claimed much of Redoubt No. 10 in the past two centuries. This photo was taken from near the marker. More. Search the internet for Time, Tide and Erosion. Credits. This page was last revised on June 16, 2016. This page originally submitted on September 7, 2008, by Bill Coughlin of North Arlington, New Jersey. This page has been viewed 756 times since then and 7 times this year. Photos: 1, 2, 3, 4. submitted on September 7, 2008, by Bill Coughlin of North Arlington, New Jersey.